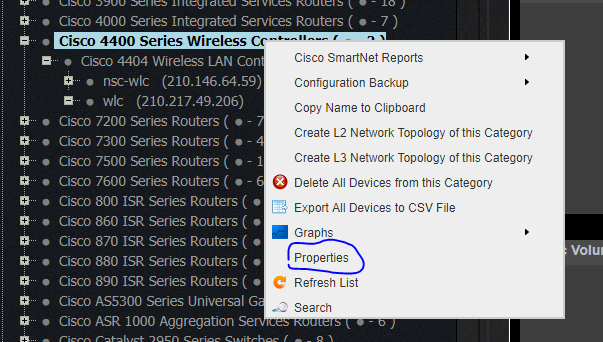 I was working with a client today on Nectus POC and he asked me to generate a list of all the routers and switches that have problems with TACACS. 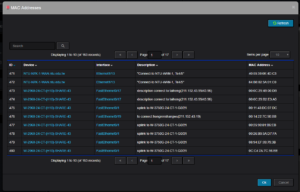 Nectus didn’t have “out of the box” report that validates the SSH connection to each device so we had to be creative in this case. 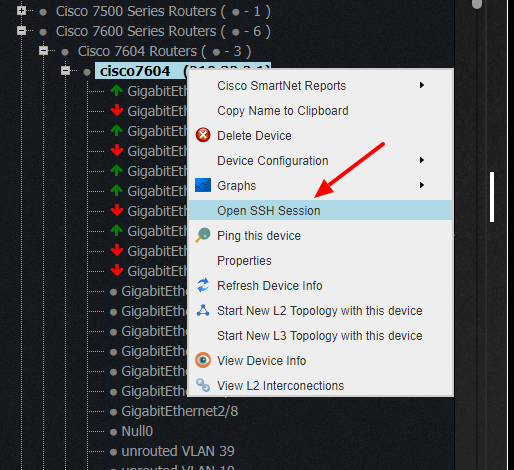 so it can open SSH sessions to devices. 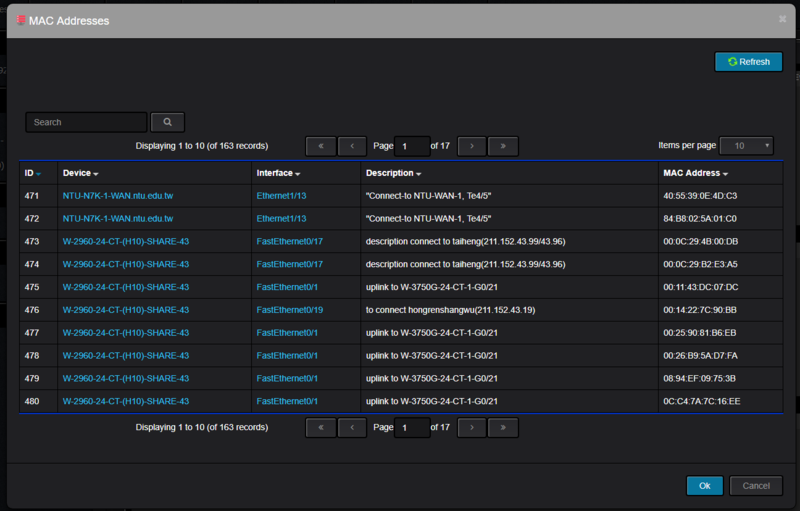 Next step was to enable “Configuration Backup” Feature in “Settings -> Device configuration Backup” and start the config backup job one time manually. 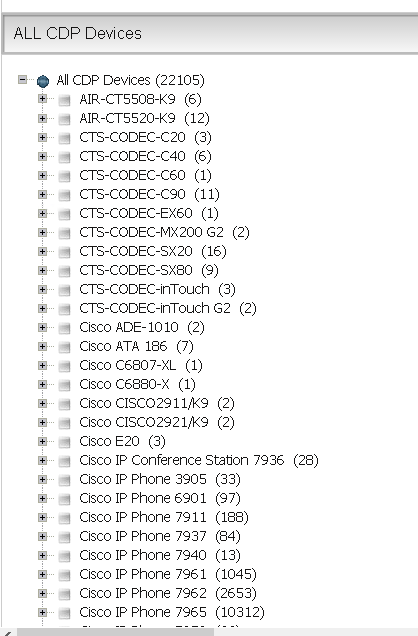 In 15 min we had a list of all devices where config backup failed, so we exported it to CSV and client got what he wanted. Piece of cake. https://www.nectus5.com/wp/wp-content/uploads/2018/02/logo.png 0 0 Michael Kors https://www.nectus5.com/wp/wp-content/uploads/2018/02/logo.png Michael Kors2017-10-04 22:33:522017-10-04 22:33:52Find all the devices with misconfigured TACACS..
We all know how hard it is sometimes to find one single MAC address in the big network..
You have to look through the forwarding tables of many switches. corresponding Switch ports to a database. 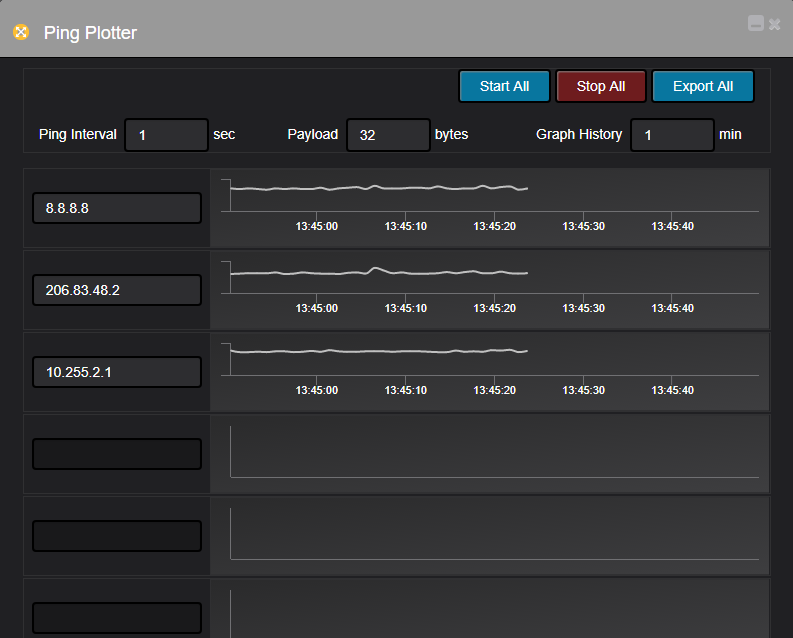 So you can find your MAC address in seconds. Some of the users complained about gloomy Nectus color scheme. for Go to “Settings -> Miscellaneous Settings” and switch between “Night” and “Day” schemes. (e.g public@management) to specify that this request is specific for context “management”. https://www.nectus5.com/wp/wp-content/uploads/2018/02/logo.png 0 0 Michael Kors https://www.nectus5.com/wp/wp-content/uploads/2018/02/logo.png Michael Kors2017-10-02 20:41:092017-11-20 15:13:08How to share Utilization Graphs with anyone? https://www.nectus5.com/wp/wp-content/uploads/2018/02/logo.png 0 0 Michael Kors https://www.nectus5.com/wp/wp-content/uploads/2018/02/logo.png Michael Kors2017-10-02 20:08:432017-10-02 20:12:23How to move devices between the Sites in Nectus GUI..
To create a new command script open “Tools->Command Scripts” in main menu and select “Add New Script” Button. 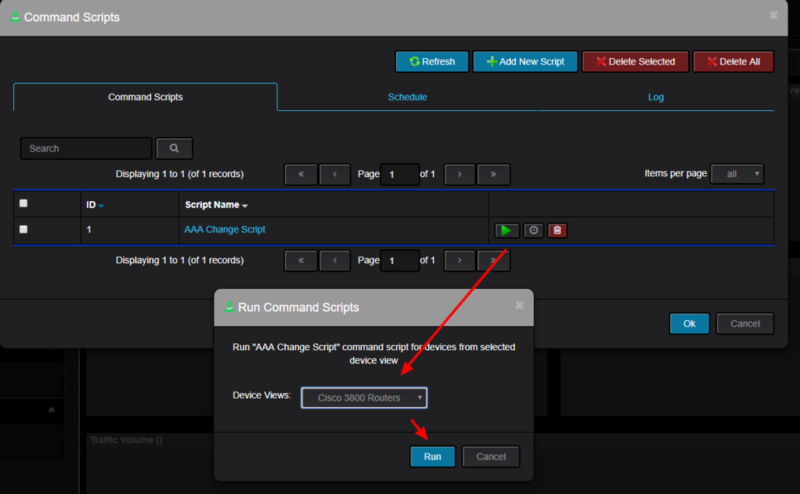 Here is an example of the Script for Cisco router to push AAA config change. https://www.nectus5.com/wp/wp-content/uploads/2018/02/logo.png 0 0 Michael Kors https://www.nectus5.com/wp/wp-content/uploads/2018/02/logo.png Michael Kors2017-10-02 13:57:452018-10-12 07:31:06How to create a Command Script? 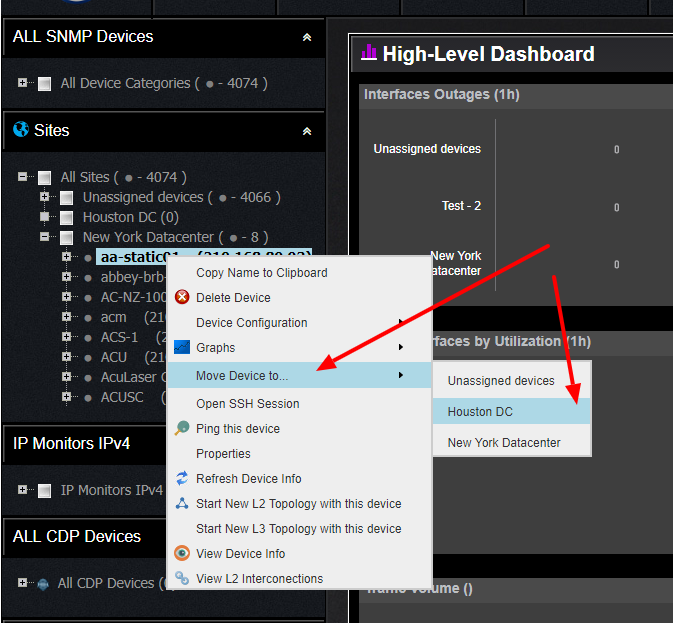 When SNMP enabled device is discovered for the first time it is placed in default group “Unassigned” in “All Sites” category. 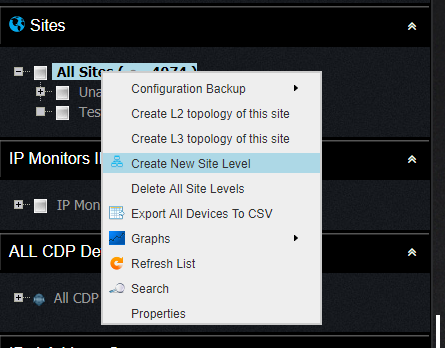 User must manually move devices from “Unassigned” group to specific site where each device belongs to. by defining a hostname prefix for this site. 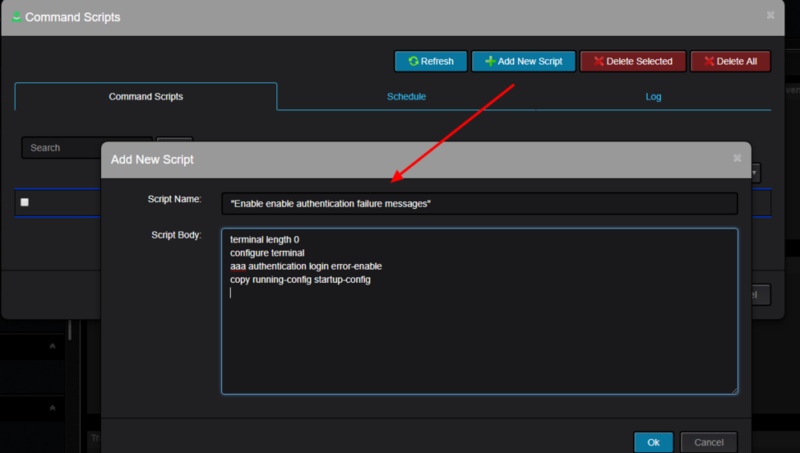 This will ensure that all devices with the same prefix will be placed into this Site. to change default icon for specific device type to something different. Supported icon format is SVG with width=”168px” height=”114px. 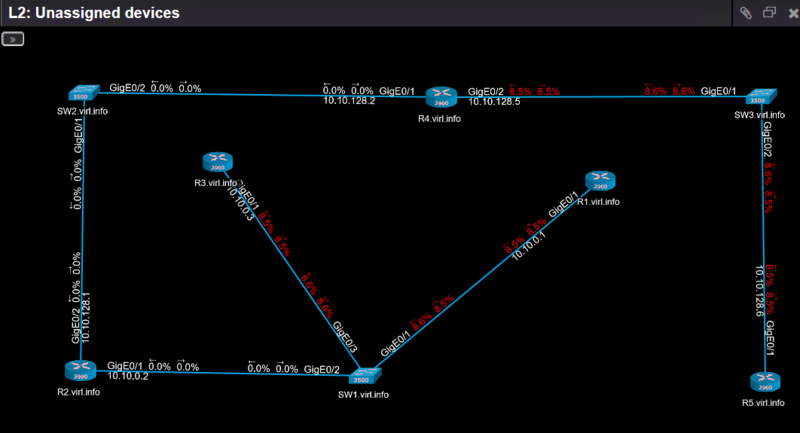 Starting from version 1.28 Nectus supports processing of inbound Netflow packets. 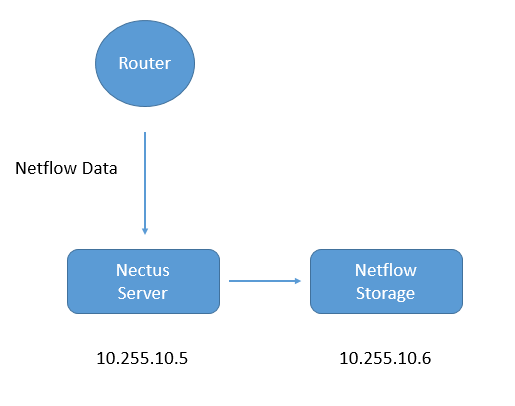 To enable Netflow functionality separate standalone Server or VM is required for Storage. 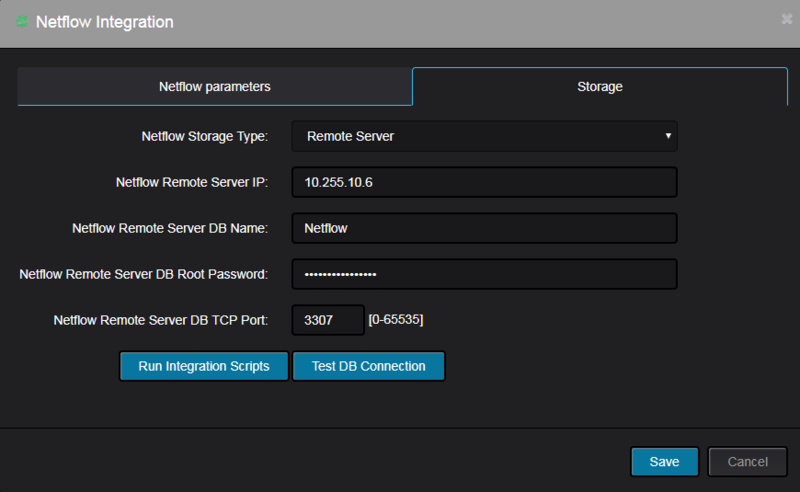 Netflow Collector can support up to 30,000 flow per second.